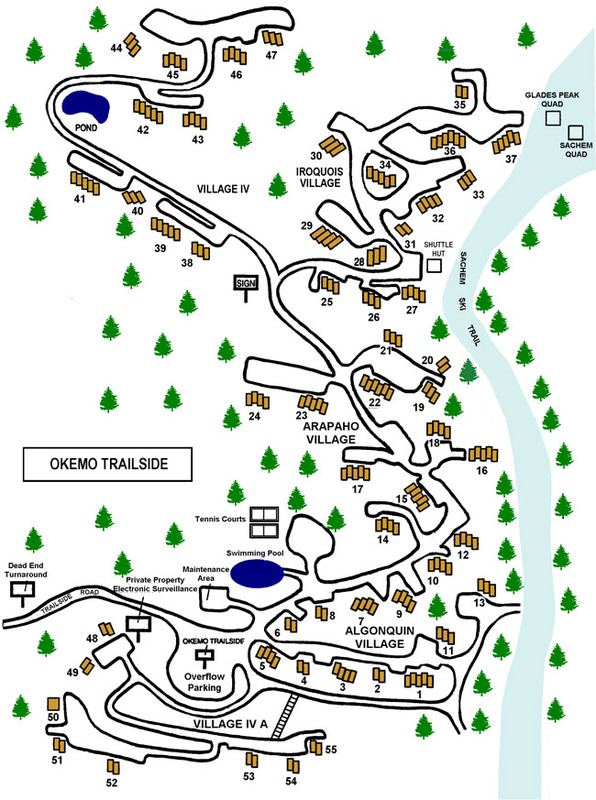 Okemo Trailside Condominiums are located along the popular, novice Sachem Trail and boast one of the highest locations on the mountain. Some of the best views can be found from these charming ski condos and townhouses with fireplaces, hand-hewn beams and convenient trail access. 215 residences in four villages offer a variety of designs and floor plans and all share the community amenities: a lovely recreational area featuring seasonal outdoor pool, tennis courts and picnic area.